So I really didn’t do much today except lay in bed and have my husband take care of me. Being sick does have its advantages! But I really would like to feel better and of course get more things done for my upcoming sale, but the nice thing is I have other people helping me out too. I wanted to show you this adorable little toadstool my friend Amanda made and is going to send with me to sell down in Frederick. She will also hopefully be making more to sell on her etsy site too! Check out her etsy site when you have a moment, Ruby Twine. And I also told you I have two kitchen island projects in the works. Well today my contractor sent me this pic of the top of one of my islands. I think it is going to look fantastic when it is finished! So I am happy to know other people are getting things done while I lie in bed with my kleenex and hot tea. Well I think I need take some medicine and hopefully I will feel wonderful in the morning! And hopefully tomorrow I will be able to announce my valentines day giveaway too! 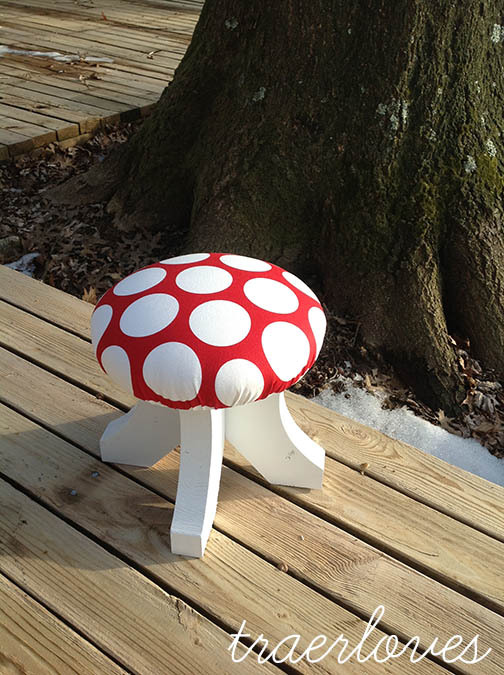 This entry was tagged projects, toadstools. Bookmark the permalink. Oh Traer…. how I love your blog. I can’t believe you put my toad stool on! Very exciting. It looks even better now that I stained it. I have no interest in blogging, but I do appreciate yours. Watch out MMS! 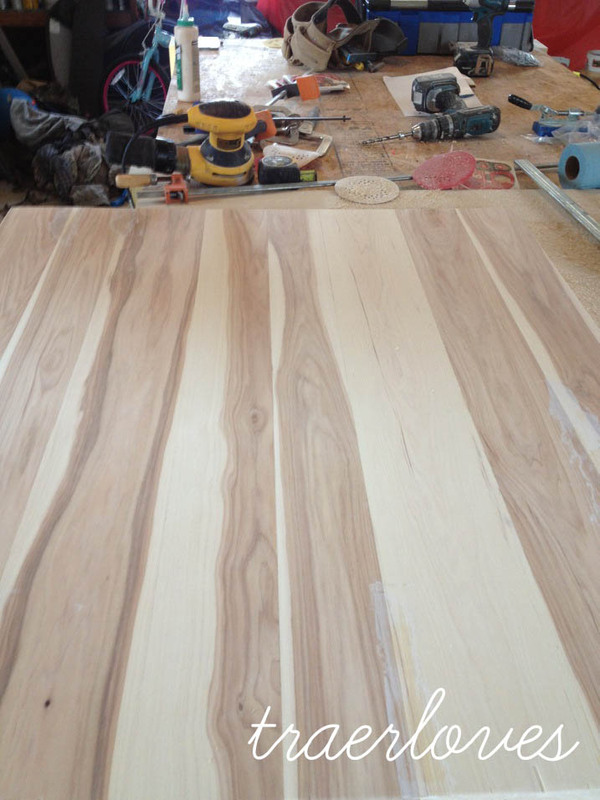 I can’t wait to see the finished kitchen islands. I am very excited about these too! I wish I could keep one for my kitchen but I do like the table I have there now, so I guess I will have to part with them for now 🙂 hopefully I will have them done in the next couple of weeks!